Just about a year ago the NHL and the city of Nashville were the real winners when the league held their first ever All-Star Game Weekend festivities in Music City in January of 2016. The attendance, associated events, entertainment, Fan Fair and the competition on the ice were all thrilling. Throw in the fact that controversial defenceman John Scott – who was the ultimate MVP of the game – capped off one of the most improbable and heart-warming sports stories of all time. His performance proved that everyone – even Commissioner Gary Bettman – loves a winner. 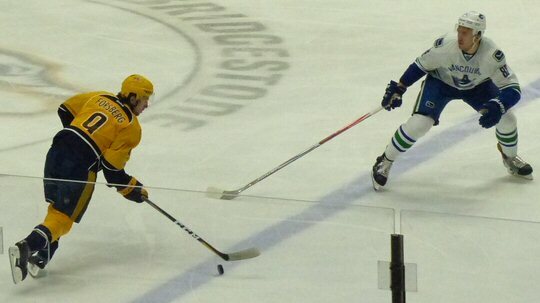 Filip Forsberg led the winning charge in Smashville. In 1971, a construction crew clearing a lot in the downtown fortuitously found the remains of a long extinct saber-toothed tiger. Fast forward a few decades when the newly awarded NHL franchise in Music City was seeking a moniker it turns out they didn’t have to look too far for inspiration. The team adopted the image of the creature as their logo and the coolest cat on ice was born. 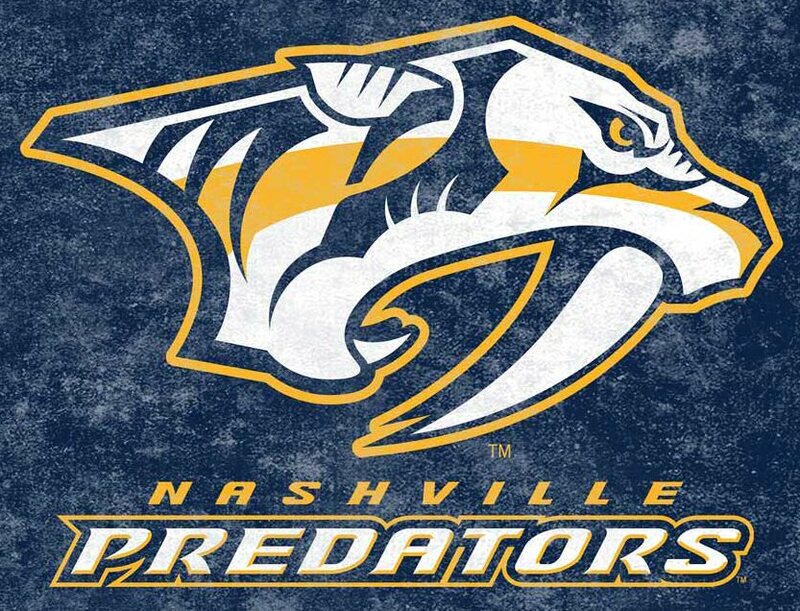 The Nashville Predators have been making their presence felt in the little big town since 1997 and as the team nears its twentieth anniversary they possess a quality and winning organization that thousands of ecstatic Nashvillians are very proud of. We arrived early for the game against the Vancouver Canucks on January 10, 2017 and immediately were handed scratch-off tickets. This was part of the Predators’ “Guaranteed Winner” night and it was ironic because we actually won four lower bowl tickets in section 107 while visiting a squad practice earlier in the month at the team-owned Ford Ice Center in Antioch, Tennessee. More scenes from the game including Mayor Megan Barry. The specter of abundance added a festive feel to the mid-week match. As the game got underway a quick goal by the Preds got fans on their feet but it was soon called back due to a high-stick infraction. This was the first of two home team scores taken off the board on this night denying the fans a free Frostee courtesy of Wendys – just one of many cross promotions and interactive contests that took place during the match against their Canadian rivals. Austin Watson scored first for the Predators and it looked like that goal would hold up for a shut-out victory until Vancouver tied it in the last minute of regulation play. It appeared that the winning might be over when the Predators went down a man due to a power play in the overtime period. But, their predatory instincts were on display when Calle Jarnkrok and company set off on a short-handed breakaway where he took a pass and sent a one-timer past Vancouver goalie Ryan Miller for an exuberant win that ran out the clock in the extra session. The evening held a lot of extras, too. Mascot Gnash was busy working the crowd and posing for pictures along with his guest mascot the bear from local Bellmont College. Their men’s basketball team was on hand to sign autographs. Nashville Mayor Megan Barry was in attendance to proclaim Tuesday “Pete Weber Day” in honor of the announcer’s calling his 2,000th NHL game. Finally, as we scratched off our tickets we won two passes for a future skating session at the Ford Ice Center bringing our night of winning full circle. 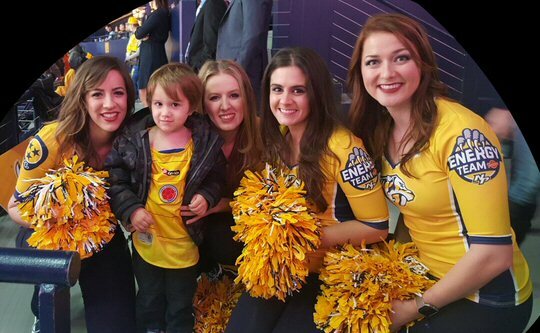 This lucky young fan attended his first Predators games. Not to be outdone or overlooked Nashville is, of course, Music City and it’s difficult to go anywhere in town and not find live music playing. 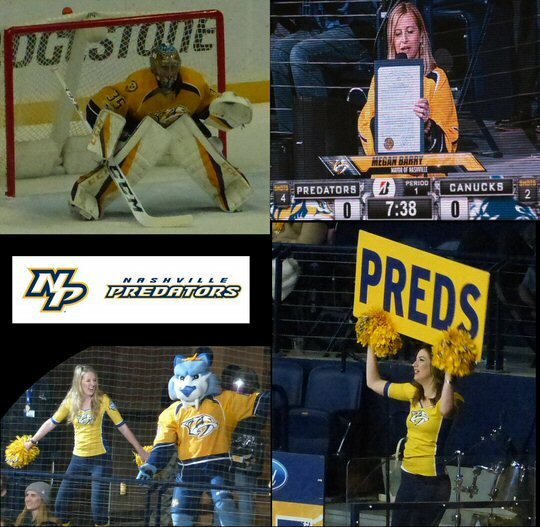 Apparently, a Predators game is no exception, either. During both intermissions fans were entertained by local act Waker who are known for mashing soul, rock & roll, and funk into an eclectic, danceable sound. They focus on songs that aim for the heart, head and feet and the capacity crowd at the Bridgestone Arena were up and standing during their laudable rendition of “Tenth Avenue Freezeout” by Devils fan Bruce Springsteen. The Predators provided a smashing night in Smashville especially with the exhilarating last second victory in overtime. Thanks to the generous ongoing promotion by the NHL franchise on this night – and every home Tuesday throughout the season – everyone was a winner. Well, except for the vanquished Vancouver Canucks, that is. 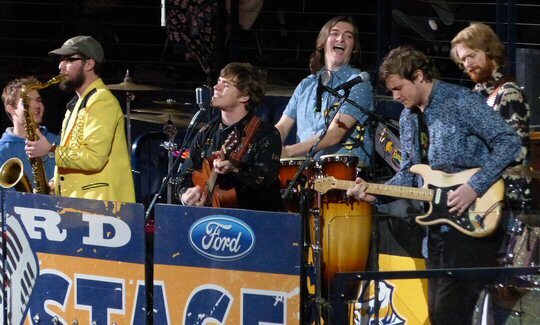 Waker from Nashville rocked both intermissions.